Home Dining 60 Beans is here! Astorians have been eagerly awaiting the opening of 60 Beans, and the doors to the latest coffee shop have finally opened! They have all the offerings you could want out of a coffee shop – from tea to espresso, to hot and iced drinks. There’s also lots of yummy, fresh pastries – including Dough donuts – which if you haven’t tried are amazing. Plus, they’ll have beer and ales – so it’s an all around awesome place to kick back and relax. 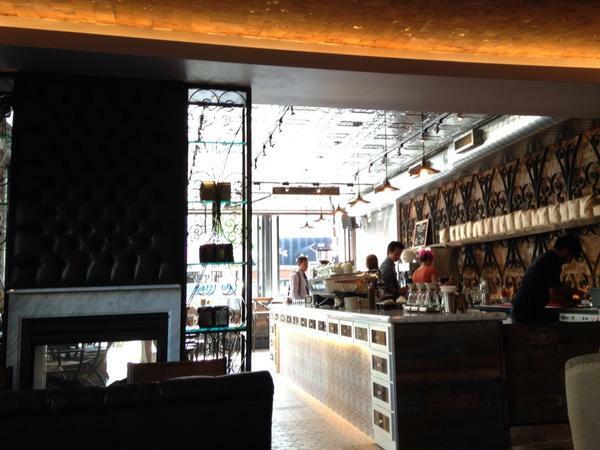 The interior of 60 Beans is one of our favorite things, it’s rustic and woody, and absolutely cozy. It’s extra cozy when you realize they’ve got free Wi-fi – probably the most perfect new spot to sit down with a pastry, a hot cup of coffee, and your laptop, to get some work done. It’s also really airy and spacious, so it won’t feel like a cramped Starbucks. It’s comfortable and welcoming, and the owners really know Astoria and the crowd here. They’ve got punch cards for a free coffee after you buy 9 – and they’re double punching today – so make sure you stop by! Previous articleThe Best Supermarkets in Astoria!